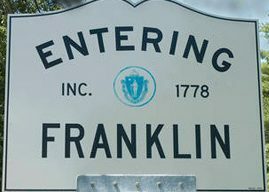 In 2008, CNN and Money.com named Franklin, MA the 10th best place to “Live and Launch.” The town gained another national mention the following year, when Family Circle named out quiet town one of the top ten places in the country to raise a family. So, are these honors accurate? Should you believe the hype? Of course you should! Franklin, a city of approximately 31,000, is located around 35 miles southwest of Boston and around 20 miles north of Providence, RI. Both major cities are accessible by car and commuter rail, allowing residents to easily maintain jobs in nearby, bustling metropolises while living in the quaint, New England town. The town is thriving, providing a healthy mix of modern necessities with beautiful residential neighborhoods. Additionally, it’s the home of Garelick Farms, the New England-famous dairy producer. Franklin’s downtown common area is truly the jewel of the town. The expansive, four-acre space is one of the finest in New England; it boasts beautiful grounds, a brick bandstand, and several monuments and dedications. This is an excellent place to watch the Fourth of July fireworks celebration with your family, or perhaps engage in local community meetings. The homes themselves are often old Colonial and Victorian buildings—many of which are historic. Additionally, the stunning 100-acre Dean College campus provides additional charm to this tiny town, offering gorgeous views and providing an eclectic mix of residents. The downtown area is very pleasant, offering restaurants, shops, and cafes. Of course, we might be biased—we are so in love with this town that we began this organization! If you’re traveling through New England, make a stop in our beloved Franklin. You won’t be sorry.